Pensacola is a naval town and home to Naval Air Station Pensacola, over which the Blue Angels flight demonstration team train. Two state parks and a national park protect the barrier islands and the beautiful white sand beaches that front the warm waters of the Gulf of Mexico. It is an idyllic place for a beach vacation. Historically-minded visitors can explore forts, tour historic homes and museums, while birdwatchers can view an amazing array of sea, shore, and migratory birds. 5 Flags Speedway is a half-mile stock car auto racing track in Pensacola, Florida that is considered by many to be the best short track in the United States. It is highly banked with an abrasive surface, which makes it an extremely fast track. It has a regular racing season from March to October and an annual signature event held in early December, the Snowball Derby, which is a three hundred lap race that attracts big names from the stock car circuit, including NASCAR racers. 5 Flags Speedway often hosts regional touring series, which it has done since it opened in 1953. Season passes with reserved parking spots are available here, and the track offers multiple food concessions and overnight camping. Big Lagoon State Park is a 705-acre coastal park with various ecosystems such as pine flatwoods and saltwater marshes. It attracts an abundance of wildlife, including alligators, armadillos, sea turtles and gopher tortoises, and migratory and shore birds. The park has lovely beaches, campgrounds with electrical hookups, canoe and kayak rentals, fishing, and hiking trails. There are seventeen picnic shelters with grills and fire pits. Lookout towers along the boardwalk allow for wildlife viewing from on high. There is a boat ramp that allows boat owners to enjoy access to the Intracoastal Waterway. For scouting and service groups, there is a group campsite on the grounds. The Pensacola Blue Wahoos are a Double A Minor League Baseball Team affiliated with the Cincinnati Reds of Major League Baseball. 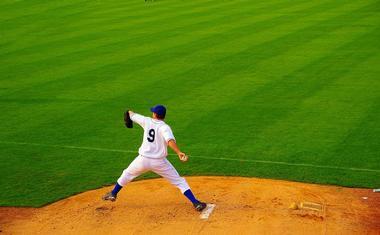 Since 2012, this team has played its home games in Pensacola’s Blue Wahoo Stadium. It is a prestigious and well-known team that in 2016 took home the Bob Freitas Award for best overall Double A Franchise in the United States. As well as offering excellent baseball, the team has a women’s club designed for networking and a kids club that allows young baseball enthusiasts to meet players. They also have the team mascot, Kazoo, as well as participate in off-site activities that range from tennis lessons to tours of the Pensacola Art Museum. Season tickets are available. Condor Sailing adventures offers two-hour cruises aboard its rare Condor racing trimaran, one of only twenty-one in the world. The way in which it is constructed guarantees a smooth ride, so it is a perfect vessel for those who are usually plagued by seasickness. People with mobility issues will find it very easy to board, and kids will love exploring the ship and trying their hand at sailing it. This is not a typical crowded harbor tour; the three sailings daily take a maximum of six people at a time, and the comfortable lounge chairs allow passengers the opportunity to stretch out and relax on deck. The trimaran sails in Pensacola Bay where no motor boats are permitted, so it is a quiet trip among the dolphins who inhabit the bay. Fort Barrancas is a fortification system comprising three forts and a redoubt, and it is located in the Gulf Islands National Seashore. 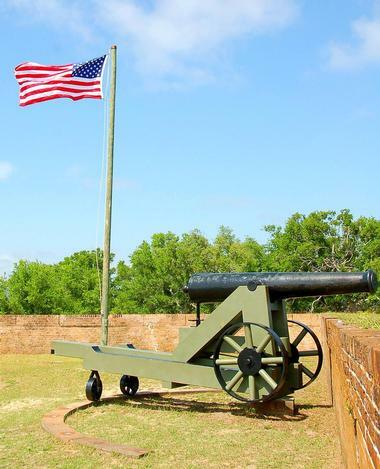 It was built during the years 1839-1844 on the site of an 18th century Spanish fortification and was used during the American Civil War before being decommissioned in 1947. 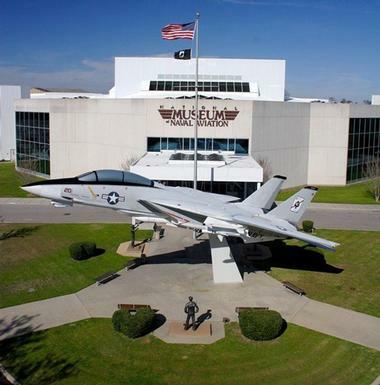 The fort is on the Pensacola Naval Air Station, and a valid U.S. driver’s licence is required to enter. Administered by the National Park System, Fort Barrancas has a visitor’s center with interesting historical displays and artifacts, restrooms, and a bookstore. The fort can be explored on your own, or you can join a ranger-led tour around the grounds. The fort has hiking trails with picnic areas stationed around the park. Gulf Coast Air Tours is the only FAA-approved aerial tour in Pensacola. The Captain has a roomy six-seat Piper Saratoga that is large enough for six people to sit comfortably. Gulf Coast Air Tours offers two different tours: the Romantic Sunset Champagne Tour and the Shark Patrol The Romantic Sunset Champagne tour, which lets you drink chilled champagne and snuggle with your sweetheart while flying over the picturesque beaches and shores of the Gulf Coast. Shark Patrol is great for families, and cruises Navarre Beach and flies west to Gulf Shores, Alabama. The captain flies low so that you and your family can get a close-up look at Great White and Bull Sharks, as well as dolphins. Both tours last around an hour; reservations are required. Gulf Islands National Seashore is a 160-mile shoreline in northern Florida and Mississippi. Lured by the immense stretches of white sandy beaches and dunes and crystal-clear aquamarine water, people come here to camp in tents, swim in the warm waters of the Gulf of Mexico, go boating, or scuba dive to explore the wreck of a U.S. battleship. There are thirty-five miles of trails in this National Park, which offer the opportunity to spot its indigenous wildlife, including foxes, beaver, armadillos, and river otter. More than three hundred different species of birds live in the park, and there are beach closures when the ospreys and the endangered snowy plovers come here to nest. The park has several ecosystems so that visitors can explore barrier islands, coastal forests, and mysterious bayous. The Historic Pensacola Museum of Commerce is a reconstructed streetscape showing commercial buildings of the type that existed in the city during the period 1890-1910. There are twenty different buildings and include shops selling toys, hardware, music, household and leather goods, and a print shop with a large and excellent collection of antique presses and type. The museum also has an antique gas station, and a traditional classroom housed in a building made to resemble a train station. The museum has a number of original horse-drawn buggies and an antique local trolley car. 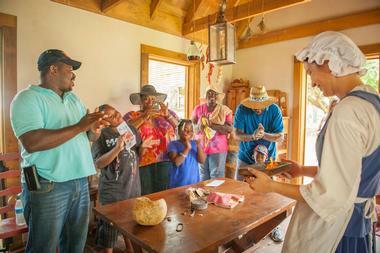 Self-guided tours of the museum are possible daily. 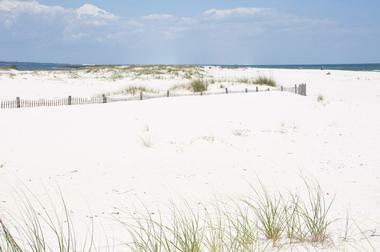 Johnson Beach, located on Perdido Key, is part of the Gulf Islands National Seashore. There is an admission charge for this beach, or you can obtain an annual pass that allows access to the entire National Seashore and its forts. The beach is named after U.S. Army Pvt. Rosamond Johnson Jr., a Korean War hero. The beach itself is broad and covered with white sugar sand; it has shoreline on both the Gulf of Mexico and on the Big Lagoon. Johnson Beach has picnic tables, clean restrooms, and a boardwalk trail that allows walkers to view the beauty of the natural shoreline and to see the wide variety of birdlife in this area. Camping is permitted right on the beach, and some parts of the beach allow campfires. Niuhi Dive Charters is a Pensacola company offering dive charters both of wrecks and reefs, and they welcome all experience levels. The Gulf of Mexico is full of wrecked ships and even a downed biplane, and there is much to explore underwater: a tugboat, the U.S.S. Oriskany, an American aircraft carrier measuring over 900 feet in length, coal barges, a merchant ship, and a 19th century wooden schooner. Charters include the assistance of a divemaster, as well as snacks and cold water to drink. Niuhi also offers spearfishing charters, coral reef diving, and night dives, and the company’s divemaster can help you learn or perfect your diving prowess. Pensacola’s Lighthouse dates back to 1859 when it was at first a lightship – a light tower aboard a ship – before becoming a land-based lighthouse. It is still an active guide to navigation of Pensacola Harbor, which is the deepest harbor on the Gulf Coast of the United States. 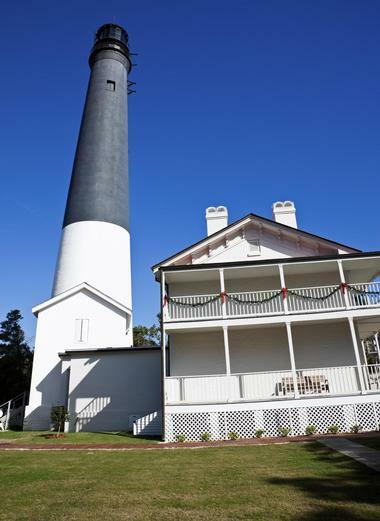 Visitors may climb the 177 steps to the top of the lighthouse, where they will have stunning views over the Gulf of Mexico, the Naval Yard, the three historic forts in the area, and the Pensacola skyline. The Keeper’s Quarters, built in 1869, have been fully restored and operate as The Richard C. Callaway Museum, housing displays about local and lighthouse history, the American Civil War, and maritime history. As the Pensacola Lighthouse and Museum are located on an active Naval Air Station, all adults must present photo identification to enter. 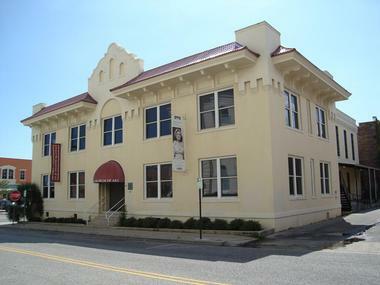 The Pensacola Museum of Art is spectacularly housed in the 1906 Spanish-style old city jail, which itself is to be found in Pensacola’s Downtown Historic District. The small museum focuses on 20th century art, and in their 20th century art collection are works by Pablo Picasso, Salvador Dali, Louis Comfort Tiffany, and Andy Warhol. There are works on canvas, paper, and sculptures, a decorative arts collection of American and European glassware, and some African tribal art. The Children’s Art Room has educational programming for kids, as well as summer camps and birthday parties. There are also educational opportunities for adults including workshops, films, and lectures. 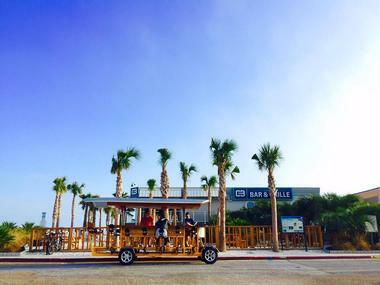 The Pensacola Pedal Trolley is an environmentally-friendly way to tour the city; it is a pedal-powered vehicle with seating for fifteen people. It is a unique way of viewing Pensacola’s Downtown Historic District; historic tours last ninety minutes and stop to visit museums, take photographs, or to buy a drink or a snack. Pensacola Pedal Trolleys offers very popular evening pub crawls that last for two hours and give visitors a fun evening with friends and an opportunity to make new ones. Recently the Pensacola Pedal Trolley began offering Sunday Brunch Tours, which take in several brunch restaurants with discounted drinks at each one. 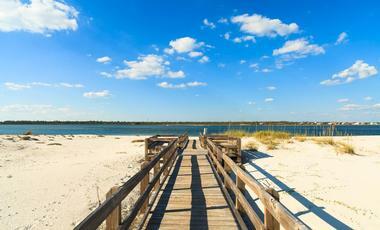 Perdido Key State Park is a 247-acre park located on one of the Gulf of Mexico’s barrier islands. These islands are essential for protecting the Florida coastline from storm damage and for providing a habitat to shore and sea birds. 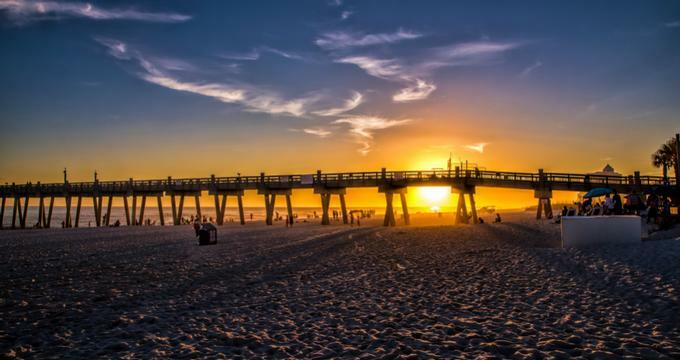 This state park offers over two miles of white sand beaches, rolling dunes covered in sea oats, and is optimal for swimmers, sunbathers, and surfers. There are picnic tables and eight covered picnic shelters, restrooms, drinking water, parking, and a boardwalk from the car park to the beach that helps preserve the shoreline vegetation. 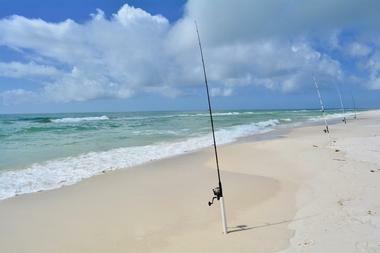 Surf fishing is permitted here; catch is usually flounder, whiting, pompano, or red fish. There are cold water showers for rinsing off the sand before getting back in the car. T.T. Wentworth was a Pensacola entrepreneur, politician, and history buff who began his days as a museum curator showing oddities at a roadside stand. 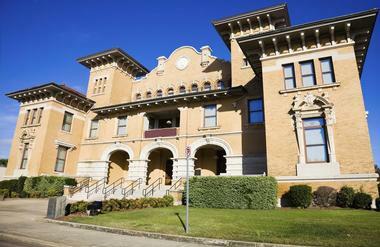 Today the museum that bears his name and holds his eccentric collection is housed in the former Pensacola City Hall, which was built in 1907. The ground floor of the museum is dedicated to Wentworth’s collection, which includes, among other things, a mummified cat, a shrunken head, a Confederate torpedo, a 1,500-year-old dugout canoe, and a pair of shoes that once belonged to the world’s tallest man. The next two floors of the museum are historical, displaying artifacts, photos, and interactive exhibits about the history of the Florida Panhandle over the past few centuries. Veterans Memorial Park honors the memory of those who have sacrificed their lives for their country. 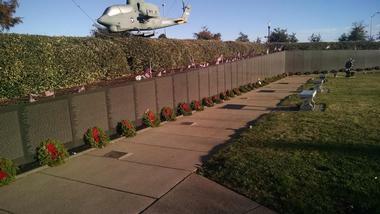 Wall South is an exact half-scale model of the Vietnam War Memorial in Washington, D.C. It came to Veterans Memorial Park as a travelling exhibit for five days in December of 1987. The local veterans, particularly the Vietnam veterans of the local community, were so moved by the wall that they began raising funds to purchase it when it had finished its cross-country journey. The Vietnam Veterans of Northwest Florida Association held fundraising events for several years until in 1992 they achieved their goal, and the half-scale wall was acquired for Veterans Memorial Park. 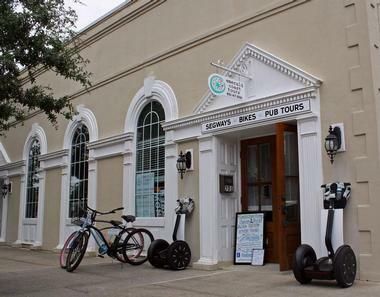 A great way to see the historic downtown core of Pensacola is aboard a Segway or a bicycle. Segway tours last two hours, include instruction on how to handle a Segway, and take riders through Pensacola’s historic neighborhoods. During the trip, they will stop at local historic sites and ride along the picturesque waterfront of Pensacola Bay. Two-hour bicycle tours of the downtown historic center are available, as are Pensacola Lunch Rides, which last three hours and stop at a favorite restaurant for a refreshing meal. Emerald Coast Tours is well known for its evening pub crawl, which takes in four different bars and offers nice discounts on drinks.